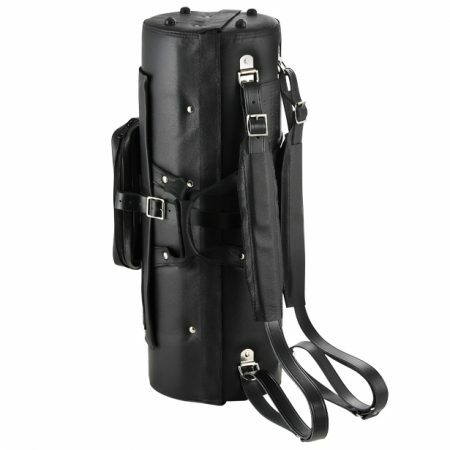 Ultra-compact, light-weight, hard, drop-in bassoon case for German and French System bassoons. Hinged lid/front panel opens to reveal four chambers – one for each joint. 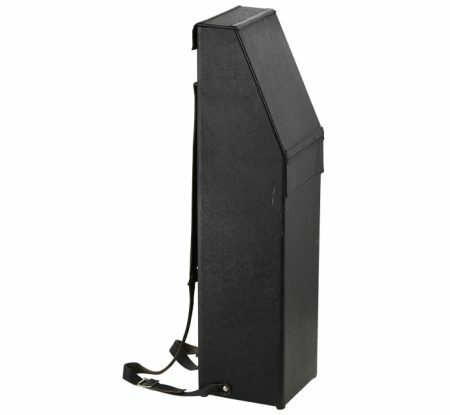 Plenty of storage space and provision for 2 X bocals/crooks. 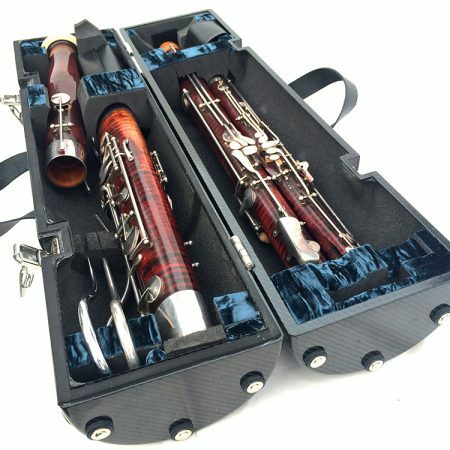 The case doubles up beautifully as a reedbox/water stand in the orchestra when closed, and as a bassoon stand when open – simply lower the assembled bassoon to the bottom. 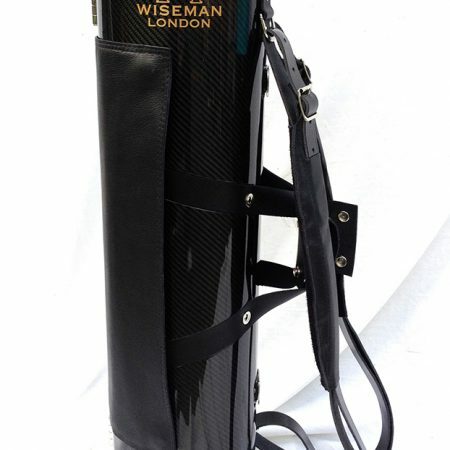 Based on the old 18th/19th Century design, copied in recent years as a gig-bag by many manufacturers, this version is the same weight as gig-bags, but a solid hard, version that provides maximum protection. Supplied with two thick padded leather straps, permanently riveted to the case. Detachable A3 sized leather music pocket poppers onto the outside (back) of the case.